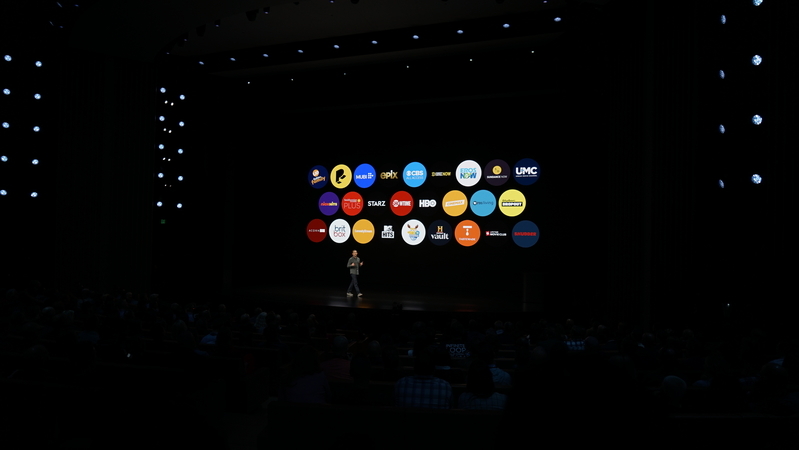 "It's all together in one place, the Apple TV app"
"We've redesigned the Apple TV app to make it even simpler to find what you love." "If you don't know what to watch, that's where the new Apple TV app really shines. Our expert editors are like that friend you have that always knows the best shows on TV." 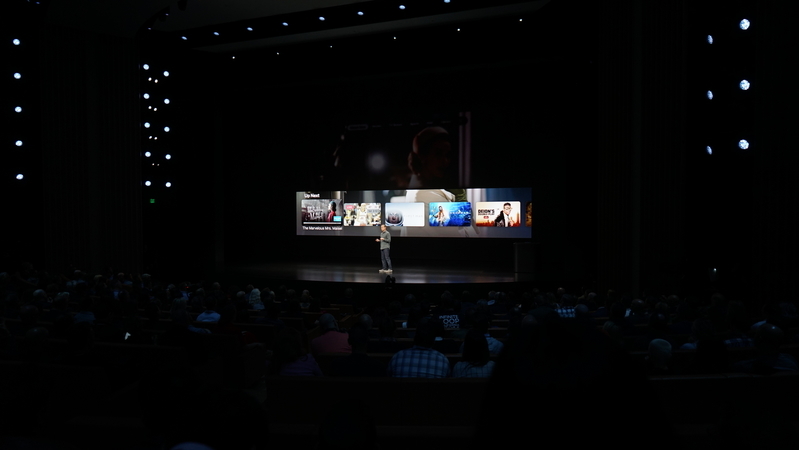 "No more bouncing from app to app"
"Moving beyond Watch Now, we've also created a new home for movies." 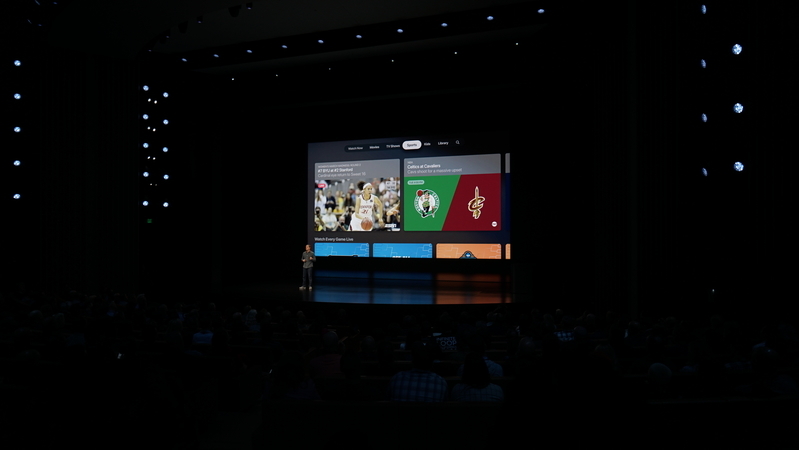 "the Apple TV app is also great for sports fans." "Everything I'm watching is here in Up Next. ... I get my cable from Spectrum, and I also have Hulu and Prime Video. 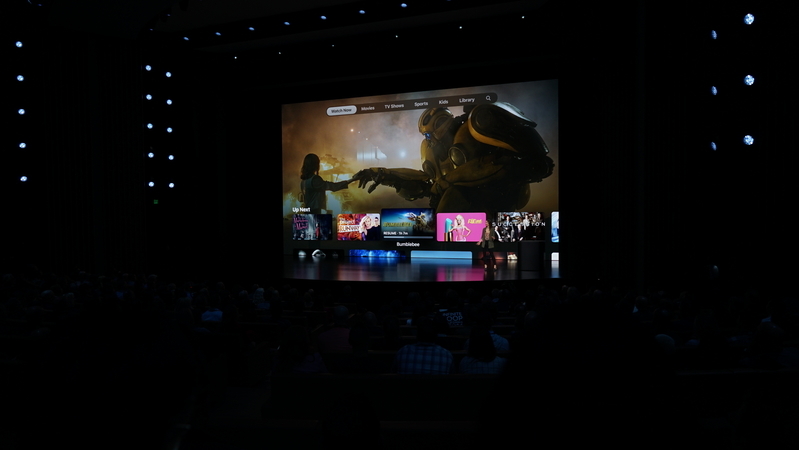 It's all here in the Apple TV app. "It's always getting smarter about what I like." "Swiping is just like channel surfing, except every show here is actually something I want to watch." 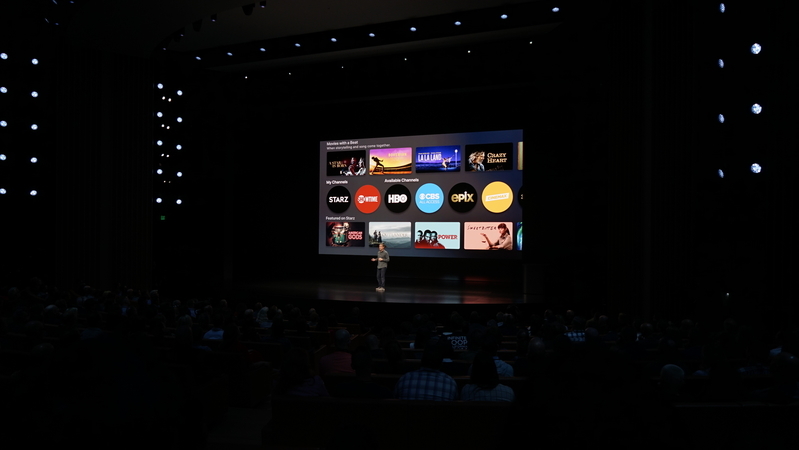 "There's already so much here, and it's so easy to add even more with Apple TV channels." "I can skip the intro to get right to the action" like for the show "Billions"
"All of my son's favorite characters are here. Chase from Paw Patrol. 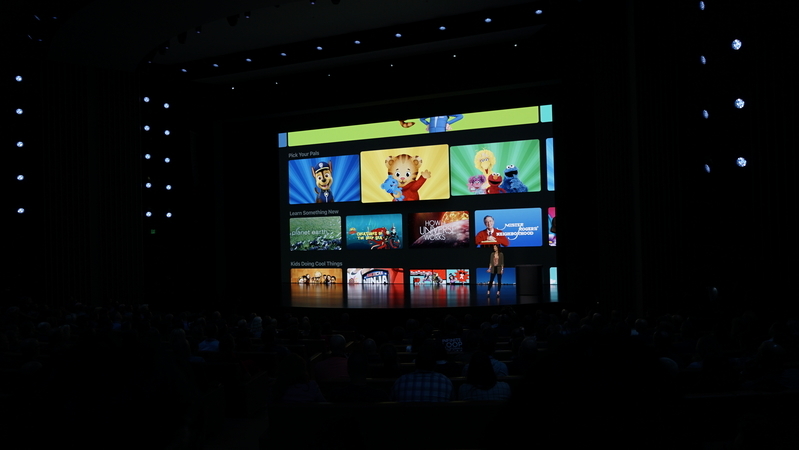 Daniel Tiger etc"
"Now that you've seen the new Apple TV app, you're going to want it on all of your screens." 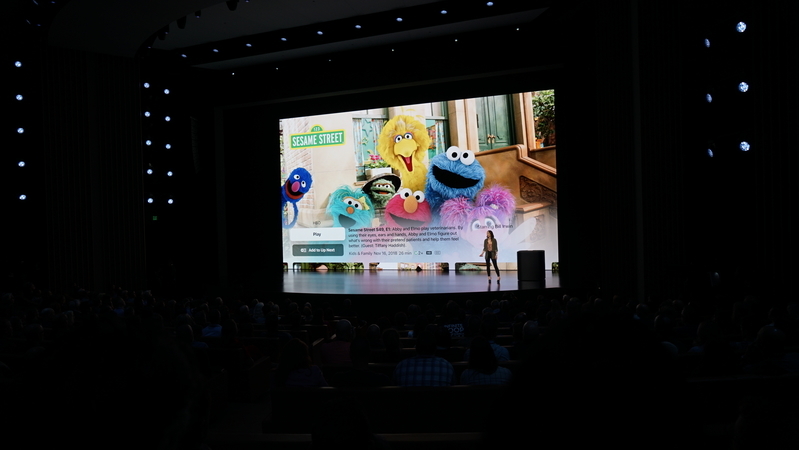 "Everything you saw is amazing on iPhone." 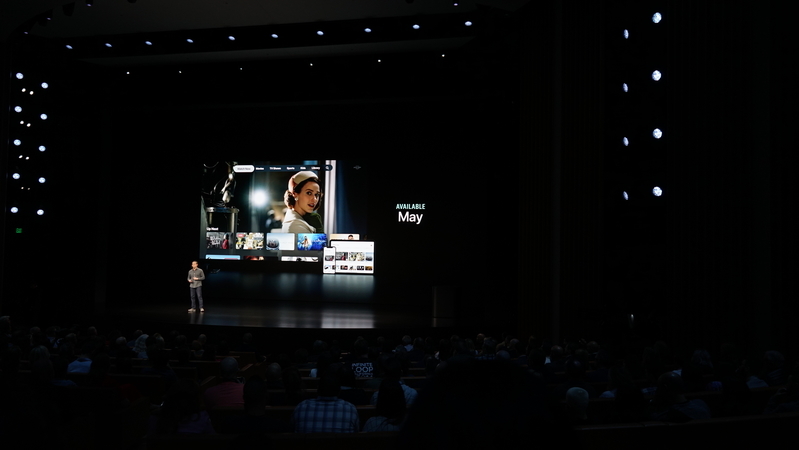 "For the first time, we're bringing the Apple TV app to the Mac this fall." "And that's not all. 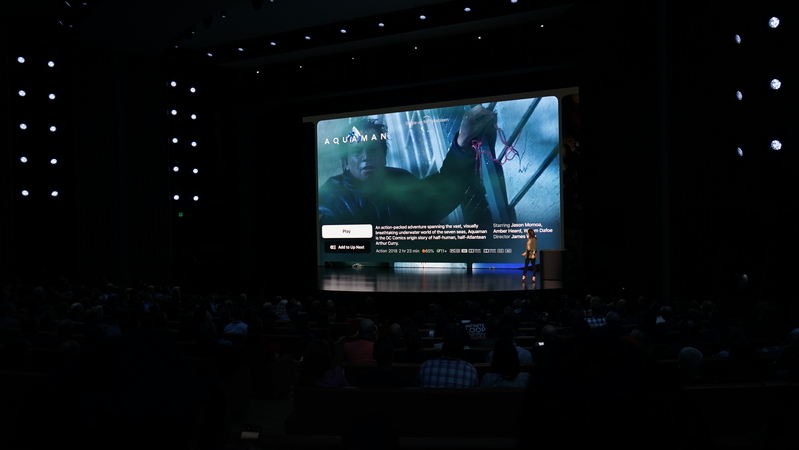 We know you're going to want this experience on every screen in your home. 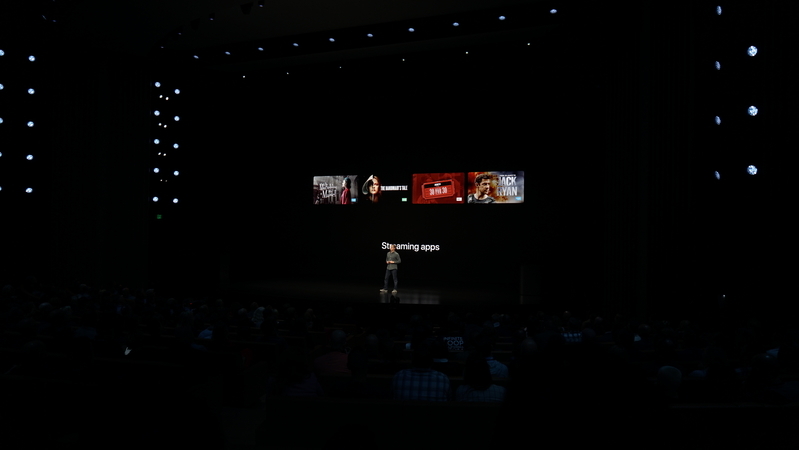 We're bringing the Apple TV app to smart TVs." "We're launching the same great experience with Samsung this spring. followed by LG, Sony, Vizio."